Chloë Moretz was seen at the premiere of ‘If I Stay’ held at Landmark’s Sunshine Cinema in NYC on monday. She donned a Miu Miu multi-colored flower sequin embellished sleeveless dress and paired up with Miu Miu jeweled heel sandals. 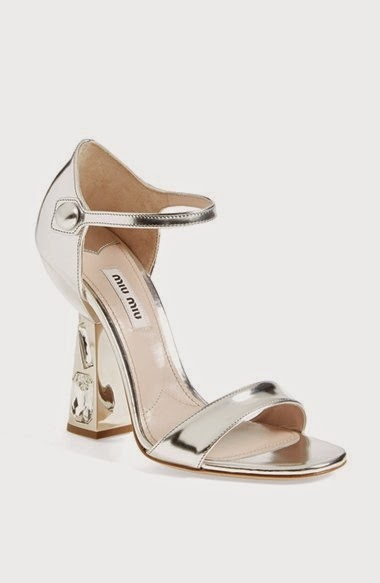 I cannot wear this mary jane sandals...rhere are shoes that are just meant to be admired on people's feet only..a shoe that will fit mr A will not always fit mr B....am not saying one should be sterotyped.#flexibility is need in creating one's shoe blog.